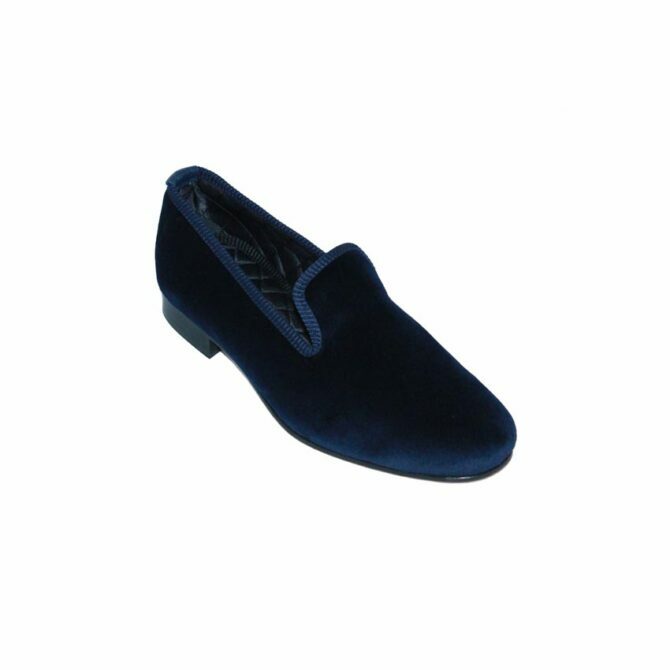 These mens velvet slippers are handmade in our Norwich factory. This is an example of our navy velvet house shoe in plain navy velvet with blue quilt lining, cemented construction and a leather sole. These mens velvet slippers are handmade in our Norwich factory. This is an example of our navy velvet house shoe in plain velvet, with red quilt lining, or navy velvet with blue quilt lining, cemented construction and a leather sole. We are able to finish our mens velvet slippers in a number of colours, including the wine-coloured pair below; please feel free to enquire about the possibilities. You can get in touch with us on our Contact page.